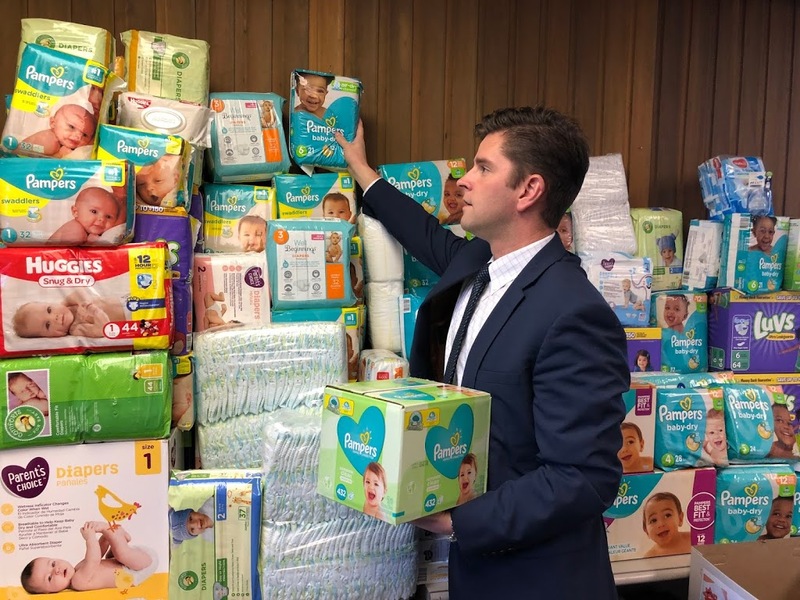 Rep. Spain will continue his effort to bring awareness and community support to this issue with deliveries of diapers and supplies to area food and diaper pantries over the coming week following this year’s collection drive. Rep. Spain’s Holiday Diaper Drive collections ran from November 12- December 7 to help address the insufficient supply of diapers to keep infants in need clean, dry, and healthy. In total, over 4,000 diapers and over 6,000 wipes were collected for distribution to area pantries. “The need is so great with all of these organizations that I would encourage the community to reach out and see what they can do to help further with these organizations in fulfilling their missions. In many cases, the thousands of diapers and wipes donated as part of this drive will be distributed within hours or days with additional need already in place. Donations of diapers and baby supplies are often overlooked in donations to all pantries. There is significant need for especially sizes 4, 5, and 6 diapers,” said Rep. Ryan Spain. The diapers and supplies collected by Rep. Spain’s office will be distributed to pantries throughout the 73rdLegislative District, which includes all or parts of Peoria, Woodford, Marshall, Stark, Bureau, and LaSalle counties.